The media kit used for this installation is Cent OS 6.3 64 bit minimal release (CentOS-6.3-x86_64-minimal.iso). My first vCD install was on Cent OS Live CD release, on which I spent too much time to deactivate Network Manager, configure a simple IP alias, change the init level and so on. That`s why this one is Cent OS minimal. Before starting any configuration check that you have access to a local/remote Cent OS repository and that you have downloaded Java Runtime Environment 32 bit minimal 1.6 update 10. It is a 32 bit JRE, as it is the only version supported by VMware. I have used version 1.6 update 38 ( jre-6u38-linux-i586-rpm.bin)downloaded from Oracle`s site. Create the VM for CentOS: 1 vCPU, 2 GB RAM (VMware recommended size), 10 GB HDD thin provisioned, 1 Gigabit interface. vCloud Director requires minimum 2 IP addresses - one for portal and one for remote console. However, the addresses can be configured on the same interface in the same subnet (alias) - this is my case. If your network setup is different, then configure 2 interfaces. Next, open the console of the VM, power on the VM, connect the cdrom to CentOS iso and start installing the OS. During the install modify the default partitioning in the following way: reduce lv_swap to 1024 GB and increase lv_root to maximum (almost 9GB). For the rest of the install, follow defaults. Side thought - while deploying on Cent OS Live CD installation, the only missing package is redhat-lsb. Running the bin will extract the rpm and also install jre. When installation is finished with the message "Done" it is time to start vCloud Director installation - part 3. By default, CentOS comes with iptables enabled. It is a good practice to keep the firewall on. I have configured the following ports (based on VMware documentation). However, it is possible to need new rules and the post will be updated accordingly. Thanks! Helpt me a lot! It was an excellent article to hear from you which is very useful. Thank you for sharing. Here i found how to install vCloud Director on CentOS and MS SQL Express. 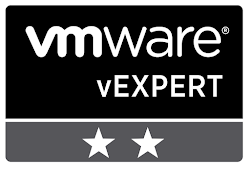 We also offer efficient yet affordable Online vmware vcloud director Training with quality as the main objective.